These super comfortable slippers were designed by my sister, Sarah, and she’s giving away the pattern! 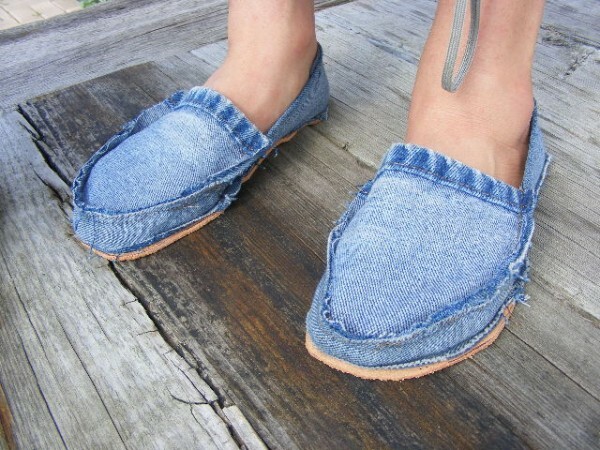 Thank you so much to all the people who asked for the pattern for the Recycled Jeans footwear. We’re really pleased this project has been a hit! Would you like and share this page? That helps us be able to keep doing what we do – THANK YOU! This entry was posted in download and tagged DIY, download, footwear, givaway, jeans, pattern, recycled, sewing. Bookmark the permalink. Both comments and trackbacks are currently closed.